How to Maintain Wooden Deck ? Most of house owners enjoy their decks as an extension of their living areas during the summer months. 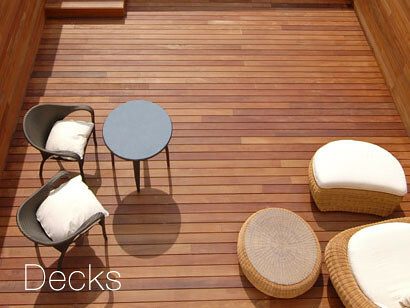 Decks take the most abuse of any surface around the home and in adition to this, during the rainy season and winter months, decks take a beating from the natural elements. Rain, snow and ice can cause mold and mildew to form and compromise a deck’s durability, and exposure to UV rays can bleach the wood’s original color to a faded gray. To prevent this, with a bit of time and effort, you can maintain the longevity of your deck and restore the wood to its original beauty. Before you make any deck repairs, it’s important to get the surface clean. You must clean the Decks at least once a year to maintain their longevity and visual appeal. In addition, carefully cleaning your deck will alert you to any rot, mold or other structural problems so you can take timely action. To make a good deck cleaning, remove all plants, furniture and other items so it’s completely free of obstacles. 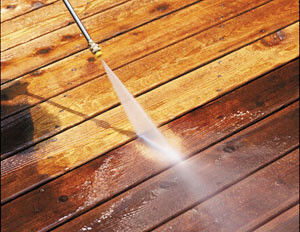 Use a garden hose with a spray nozzle to hose the deck down and remove all dirt and grit. Spray between the boards to remove any dirt lodged there. You can use a putty knife to clean particularly stubborn parts. After that, apply a cleaner, and scrub the deck down with a stiff brush—not a wire one, which could cause damage to the wood. In the market exists special deck cleaners that contain chlorine bleach that removes algae, mildew and mold; however, using these solutions will increase the number of deck cleanings you need to perform each year. There are also non-chlorine bleach cleaners and eco-friendly cleaners, so decide what works best for you. Allow the cleaner to sink in for about a quarter of an hour before hosing it down thoroughly. Remember to wear gloves and safety goggles when applying any cleaning solution to avoid health problems from deck maintenance. If your deck needs sealing, spring is the time to do it. 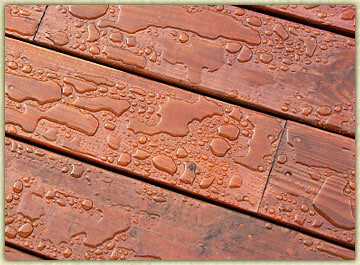 There are two basic categories of Deck sealers : water-based and oil or resin-based. Inexpensive deck sealers are clear or tinted and are water based; however, these usually don’t last very long and require a lot of upkeep. You shoud always choose more expensive deck sealers based on synthetic oils and resins, as these will soak into the wood and will act as a water repellent. These deck sealers can be semi-transparent, which last about four years, or solid, lasting for five years or more. When you have made an thoroughly cleaning, Allow your deck to dry for 48 hours after washing it, Then it’s time to apply the sealer. You should avoid the deck is in direct sunlight as you work, because this will make the sealer dry too quickly to be properly absorbed. Applying the deck seaker requires patience and precision. With a paint roller, cover the wooden boards on the deck with a thin coat of sealer. One coat of sealer should be enough, but if your area suffers from many inclement weather, two coats will provide extra protection. Finally let the sealer dry thoroughly before walking on the deck to avoid footprints and other marks. If you are not experienced with operating a pressure washer or if you don’t have experience with staining wood, you may not want to tackle a deck restoration project yourself. The best solution for cleaning decks and applying wood stains or sealers is to hire a professional deck cleaning company .